New to Vivo Health Pharmacy? You're only a few steps away from a personalized pharmacy experience. To get started, choose one of the quick steps below. Ask your doctor to send your prescription to Vivo Health Pharmacy. 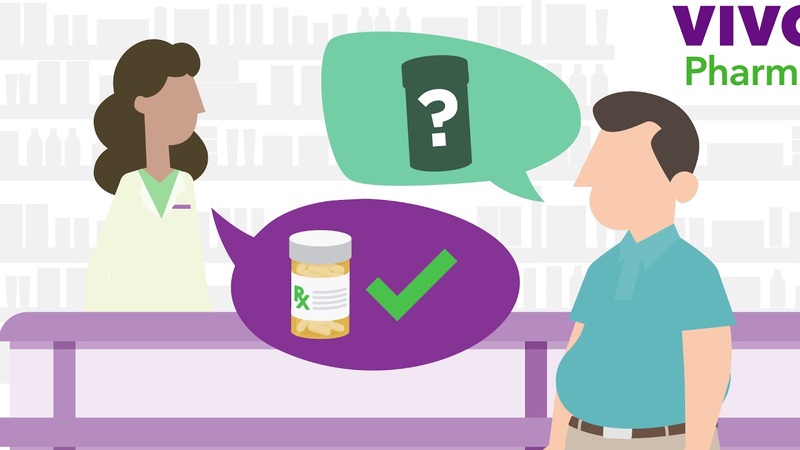 When your doctor asks where you'd like your prescriptions sent, request Vivo Health Pharmacy. Find the location most convenient to you. Transfer your prescriptions by calling Vivo Health Pharmacy. We will work with your current pharmacy and provider to ensure a seamless transition. Visit our locations page to get started. Learn how to get started with Vivo Health Pharmacy. Our pharmacists work with you and your provider to ensure you get the most out of your treatment. We'll make sure you get the medication you need by delivering it right to your door. With our 24-hour clinical call center, a qualified health care professional is always standing by with answers. Vivo Health Pharmacy is here for you.